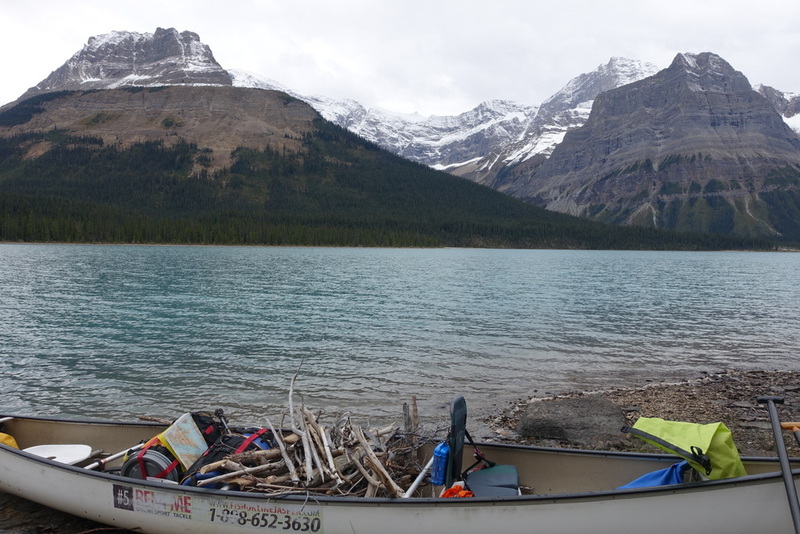 We rented a canoe from Fish Online Jasper. They have a store in downtown Jasper but their canoes are right on the lake. They give you a key the night before and you just drive up to the dock and jump right on the lake. At $75/day it’s quite expensive but better than the outrageous $90 that you’ll pay if you rent from the lodge on the lake. A better option would be to rent from MEC in Calgary or Edmonton if you’ll be returning that way. The best part is that there is practically no motorized boat traffic on the lake. The one exception is a tourist boat that runs halfway down the lake. Beyond Spirit Island you’ll see only other canoeists and kayakers. It’s heavenly. Actually, we didn’t mind the tourist boat. It slowed down enough that each time it passed by us its wake made for a fun ride rather than a scary one. 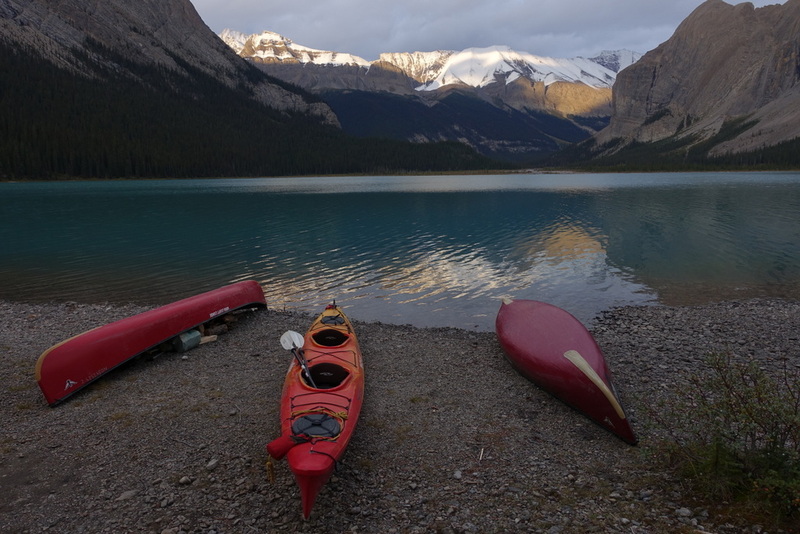 I have to admit that before we set our paddles in the water I didn’t know that Spirit Island was one of the most photographed spots in all of the Canadian Rockies. Iconic, in fact. We waited for all the folks who’d arrived on the tourist boat to leave then enjoyed the view all to ourselves. I wish I’d known what a famous place it is – I’d have taken more than one photo of it! 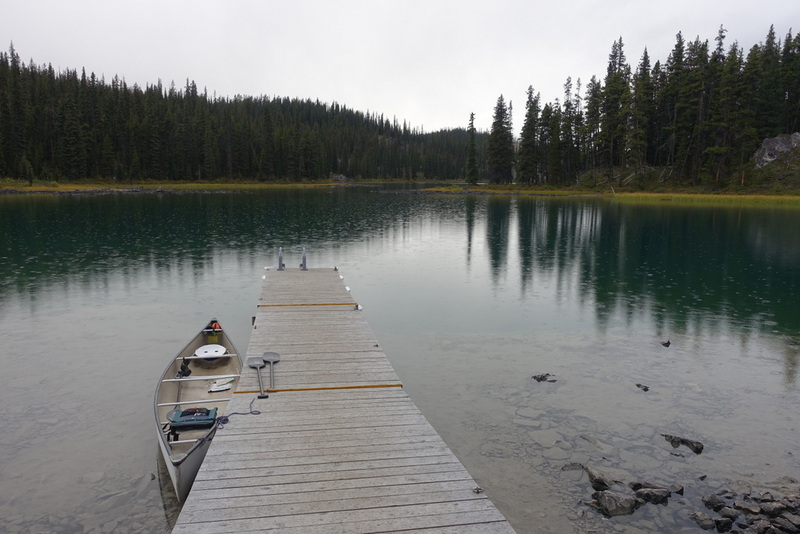 On our first day we paddled the entire distance of the lake – 22 km – to camp at Coronet Creek campground. We had perfect glassy water in the morning and even a bit of a tailwind in the afternoon. 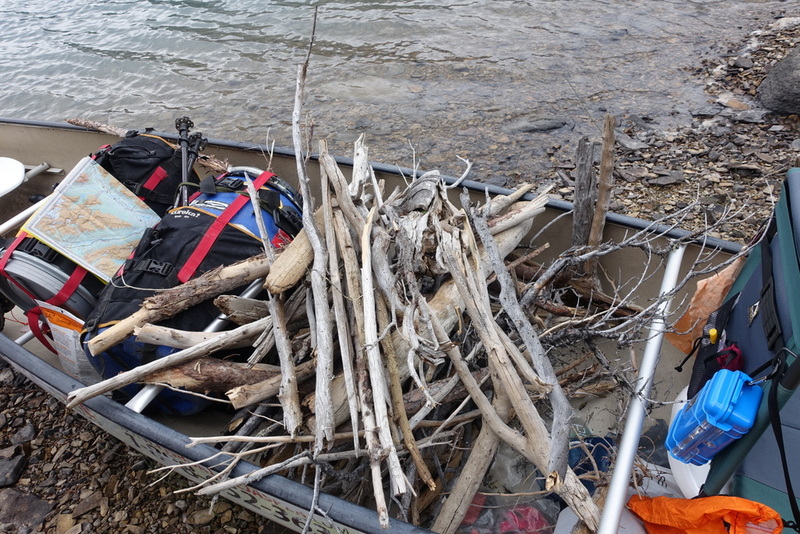 Including some time to stop and relax and to collect firewood, we arrived in 5.5 hours. In a headwind that could take a lot longer. We were pretty lucky. Coronet was really nice. There is a cooking area in the forest with bear-boxes, fire rings, and lines to hang and dry gear. There’s another fire ring right on the lake with wonderful views. We took it easy on the return trip up the lake, stopping at Fisherman’s Bay campground roughly halfway along the lake. 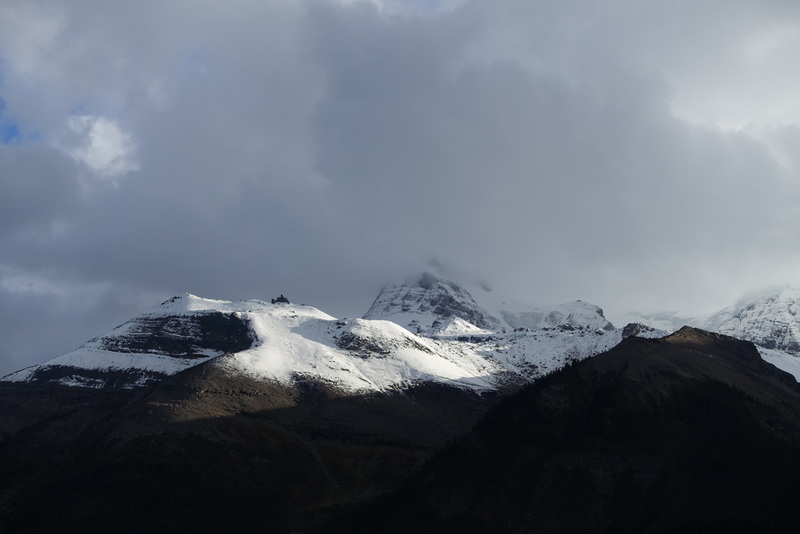 The campground itself is a touch rougher than Coronet but the views are wonderful and the campground is nicely sheltered. After staying up late to enjoy the dying embers of a campfire we let ourselves sleep in well into the morning. 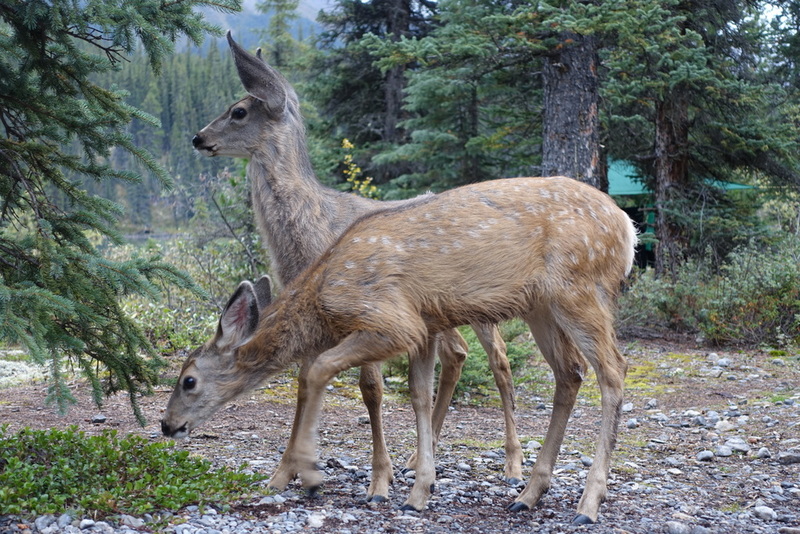 When I woke up there were three deer right outside the tent! The two fawns were adorable. 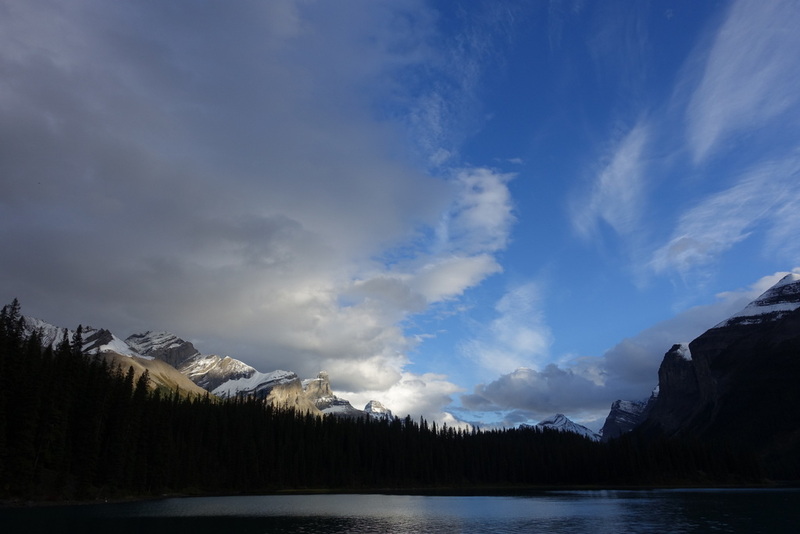 Parks Canada has built a new campground just 3 km from the boat-launch. 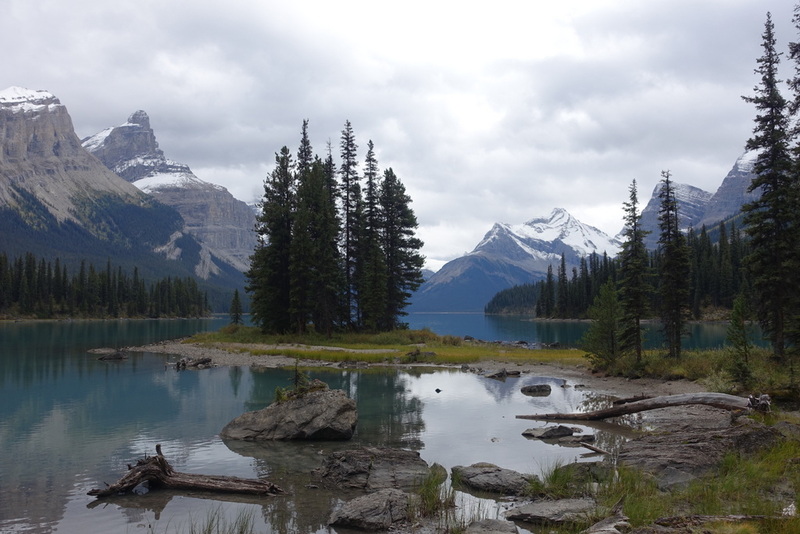 A friendly ranger at the visitor centre suggested we stay there, giving us four days on the lake. I’m really glad we did. The new Hidden Cove campground is very nice. Each of the tent sites has a beautiful view and the campfire area is nicely sheltered. 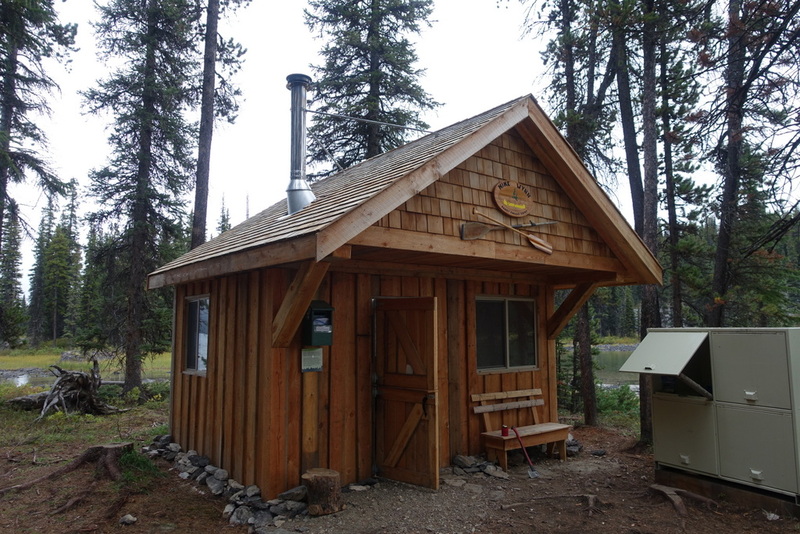 There is a nice cooking cabin with a wood stove to dry out and warm up in nasty weather but I’d rather stay outside unless it gets really bad. I’ve really enjoyed our two canoe trips this summer. 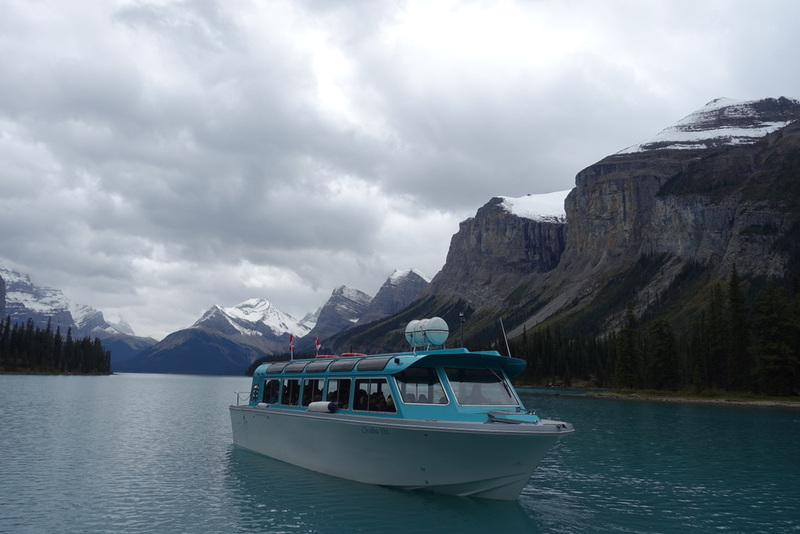 They may be less exotic than the Yukon River trip we took last year or Bowron Lakes two years ago but no less enjoyable. These trips leave me wanting to spend more time on the water.